The Rajasthan inspired bed cover. A mood board. This is Butterick Life style wardrobe B6258. It’s not a dress; it’s a top and skirt as I thought they would be more versatile, but most of the time I will probably wear them together like a dress. I’ve probably got very similar pattern pieces elsewhere, but there is not harm in a bit of extra inspiration and a new pattern! 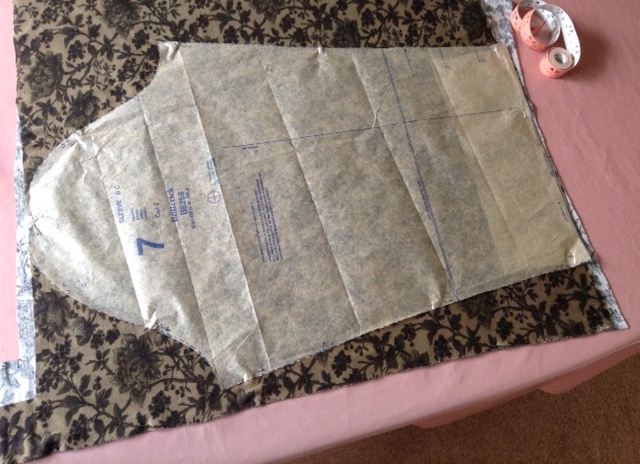 I made the top and skirt on the overlocker, including attaching the skirt elastic and it took – well, not long! The pattern says to ‘set in’ the sleeves, but I stitched round the armhole on the overlocker, and then stitched the sleeve and side seams in one, as jersey takes well to that method. Then I twin needled all of the raw edges, including the skirt hem. Done! But this outfit is about the fabric. It’s lovely, which no doubt helped the speedy stitching. It’s Liberty, purchased as a packaged remnant from Sewbox at the WI Centennial Fair in Harrogate last weekend. I took the pattern, which only came last week, ‘just in case’, although I think I was thinking ‘cheap’ fabric at the time; not reduced price expensive fabric. I bought 2m, which was definitely enough for a long sleeved dress, but I had to squeeze the sleeve out in order to get a long sleeved top and skirt. Jersey can be tricky to line up to find the straight grain, but luckily the patterns on this helped a lot. There is a belt with the pattern, but I did nit have sufficient fabric, and anyway, it looks ok without the belt, and I have plenty of belts already. Watch this space for the ‘matching’ cardie from the pack……. Matching, as in, it will be plain, but pick out one of the colours. A simple and elegant outfit. I prefer making matching skirts and tops to dresses as I think it gives greater versatility for the effort because you can wear the individual items with other tops or bottoms, good for looking as though you have a more extensive wardrobe in your backpack when travelling. 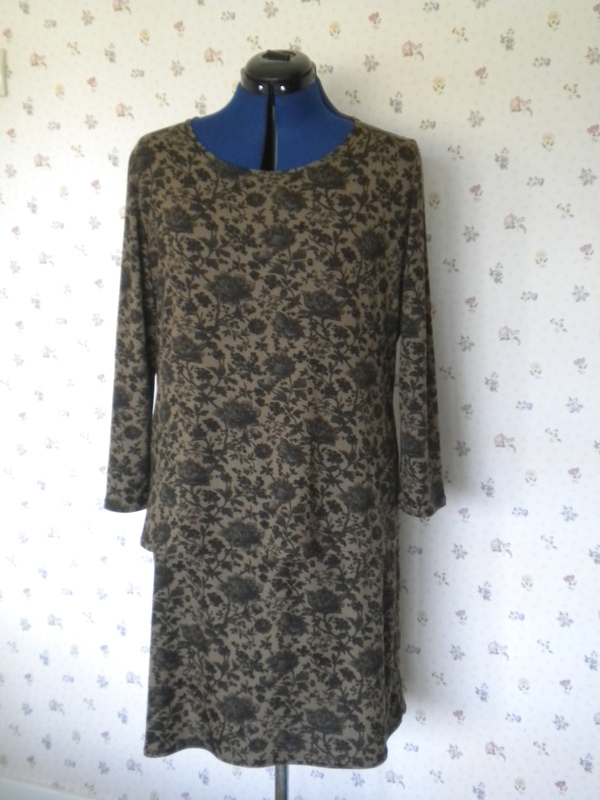 This entry was posted on September 13, 2015 by ann hebden in Butterick, Dresses, Fashion, Sewing, Skirts, Tops and tagged Butterick, Dress, Fashion, Handmade, knits, Sewing, Skirt, top.